After repeated attacks on Donetsk townspeople from pro-Russian "titushky" (thugs for hire) and the so-called "tourists" from Russia, Donetsk activists and football fans have decided to guard and protect participants in peaceful demonstrations for the Ukrainian statehood on their own. 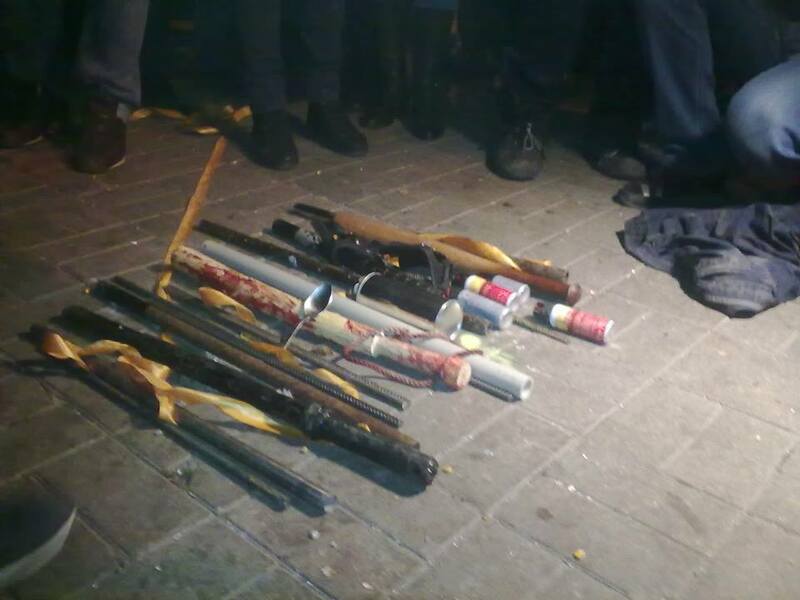 Several times events in the city ended in carnages in which supporters of a unified Ukraine suffered from participants of pro-Russian meetings armed with bludgeons and bars. Most of self-defense activists believe that the peaceful protest in the city is developed in such a scenario because of the police actions and in some cases, due to the inaction of law enforcement officers. 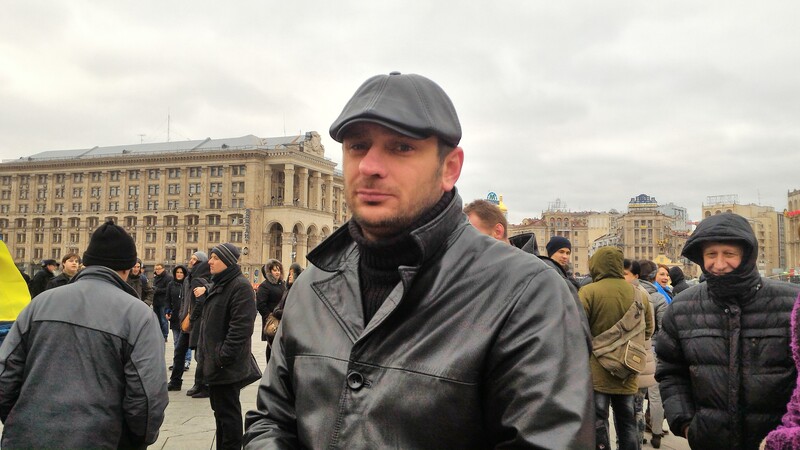 Many of the witnesses of those events believe that the war has come to Donetsk on 13 March. "News of Donbas" talked with the participants of events on March 13, 2014. Initially, we tried to organize themselves. At that time, there was an idea of following the example of Automaidan to patrol the streets of Donetsk. It was simply because we know where they (pro-Russian "titushky" - Ed.) took places. Semyon Semenchenko (which calls himself the head of self-defense militia in March 2014 - ed.) was assigned to us by Nikolay Yakubovich who has been one of the centurions in Maidan self-defense. At that time Yakubovich was Avakov's advisor. Everything was chaotic. Semenchenko insisted that we should come out in the open and protect meetings against which I have spoken back at that time after March 5, when the ultras had a fight with "titushky". But we understand that events on March, 13 will develop tough. For 3-5 minutes before the massacre Semenchenko left us "arm in arm" with the cops. And the result is known to all. What is the work of the police at the meeting. Many of them are plain-clothed. They must somehow try to prevent a fight. But it was not anything. With that out visitors from Rostov and Belgorod regions of Russia were on the pro-Russian meetings. On March 13 there has been a hockey match between HC "Donbas" with the Latvian club ("Donbas" Donetsk - "Dinamo" Riga - Ed.). And then a few dozen buses allegedly with the fans stood in front of the ice arena. In fact, reinforce to local "titushky" was hauled from the Donetsk region. We had signals about this in particular from the police department. And the police more than did not protect us, but then has even armed militants when administrative buildings and the district department of the SBU have been captured. Those who walked with sticks, then have armed with firearms. Then machine guns appeared and closer to the summer supplies from Russia started. As we all remember, regular troops came in July, 2014. It was no accident, as some think. It was purposefully. A lot has been said for two years, but nothing has been told to the end. Russian-Ukrainian war continues, and now we can only complement what has been said previously. Last year we have come together too. Today, in addition to Dmitry (dead Dmitry Cherniavsky, - ed.) we remember the sworn brothers from Donetsk and Luhansk regions that died on the fronts of the war. Unfortunately, the death roll is just getting longer. 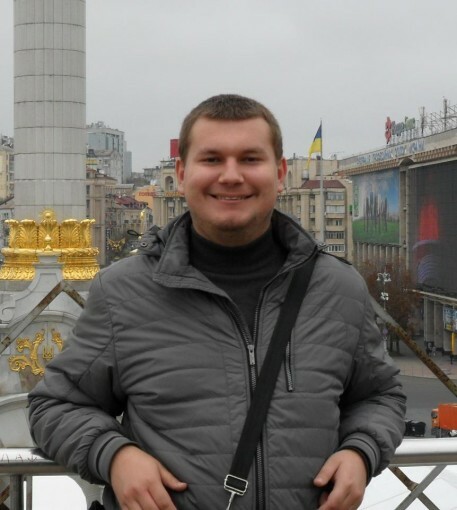 Dmitry has brought a lot of new to our organization ("Svoboda" Ukrainian Nationalist Political Party - Ed.). He came with his ideas. His death was a great loss for us. He became a victim of the war which, unfortunately, has opened the account for tens of thousands of victims. And while we cannot put a full stop because the war is not over. I know for sure that we will come together to honor our heroes next time too, no matter the war will end this year or not. The only question is whether the venue will be Donetsk or Kiev, or it will be somehow different. 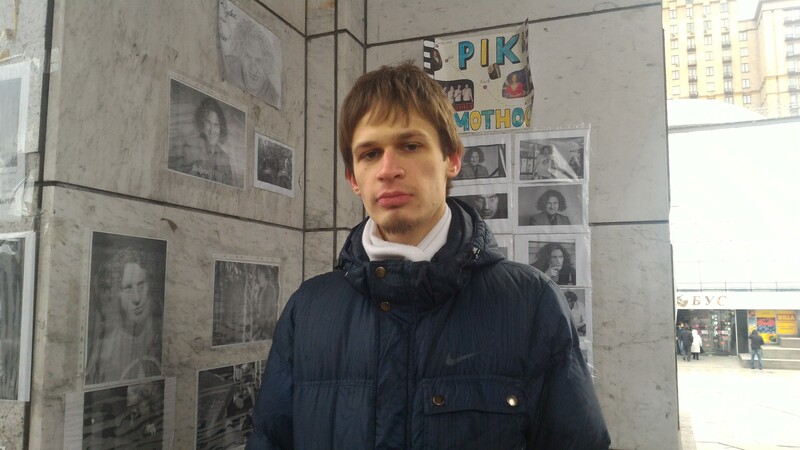 - In the spring of 2014, police allegedly established even a suspect in the murder of Dmitry. But as I understand it, the investigation was forgotten when war has been come in Donetsk? All documentation, all the results of examinations of the case that have been made in the period from March to April, were not evacuated. They stayed in Donetsk. Police has filed a new case in 2014. I was interrogated in December. The case was filed "from scratch" and does not have any documents from Donetsk. At that time, the case was investigated by video records and witness testimonies.